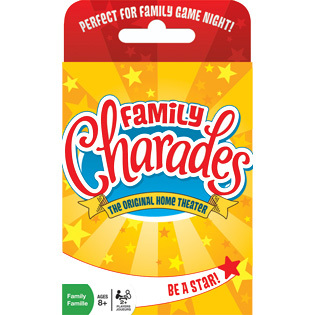 Family Charades card game is a great way for the whole family to act out no matter where you're at! This perfect travel sized card game is sure to be the cure for antsy bodies! Packed with over 300 charades, of varying difficulty, your whole family is sure to be entertained! Click to see the full size award winning board game! Item # 19166 Weight 0.30 lbs.